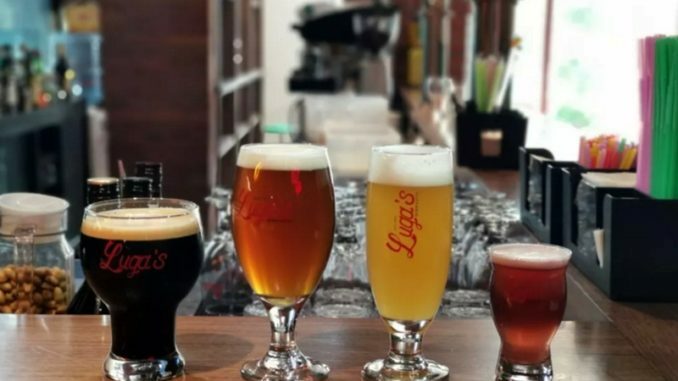 New comfort food favorites joined old standbys as we saw ever-more options in our city this year. 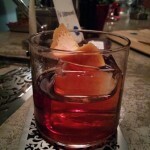 Here are 50 foods and drinks I liked in 2015 — I don’t claim it is comprehensive or a list of the very best but simply stuff one guy enjoyed. I’ve limited it to one item per place — sorry Migas! 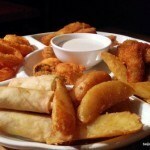 — and mostly comfort food rather than high falutin’ cuisine. 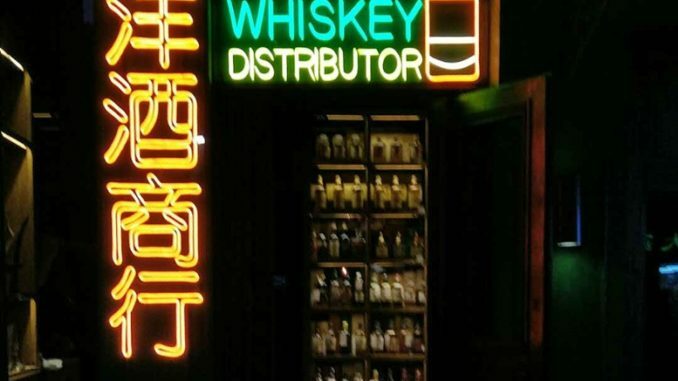 I’ve also largely skipped imported booze — that’s a whole other list. 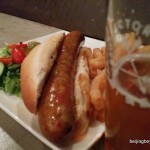 Spicy ‘spice of Life’ sausage, plus tasty lager, at The Arrow Factory. 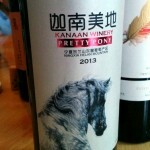 Kanaan ‘Pretty Pony’ from Ningxia ranks among the best China reds. 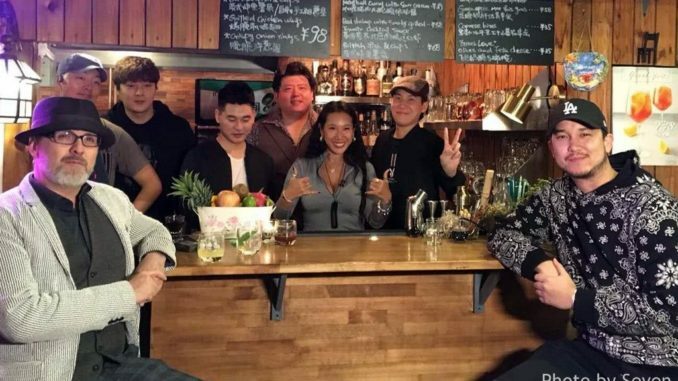 At Pudao. 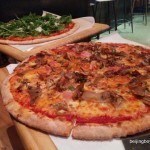 Capricciosa pizza from Pizza+. Pair it with The Forest pie. 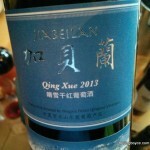 Qing Xue is a tasty and more affordable red by Helan Qing Xue. 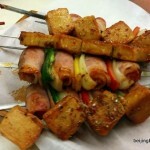 Sausages in bacon and other late-night eats at Ping Wha. 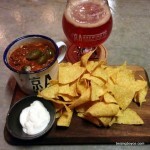 Wednesday chili at Jing-A. 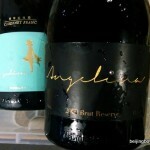 Pic includes a fave beers: Koji Red Ale. 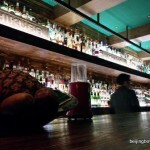 Bourbon, passionfruit and grapefruit shots at Q Bar. 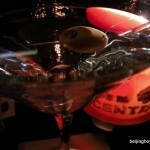 Then it’s on to rmb50 martinis. 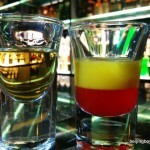 Simple but good and fun: Jameson picklebacks at Paddy O’Shea’s. 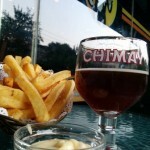 Happy hour fun with Chimay Red — rmb25 — and Belgian fries at Beer Mania. 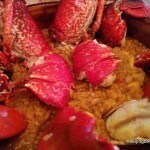 Maybe a bit fancy for ‘comfort food’ but this lobster paella at Niajo is delicious. 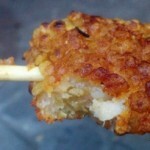 Chicken bing is prime street food at 4 AM. Near the NE corner of Workers Stadium. 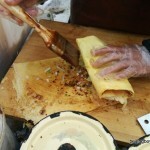 The Migas brunch, and its parade of food carts, is a great way to spend Saturdays. 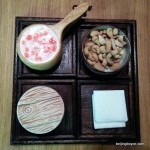 En Vain has the best baijiu cocktails — both in taste and presentation — in the city. 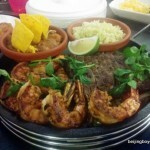 This flambeed platter of meat went down fast at Sand Pebbles. 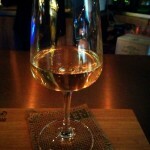 The first bubbly by Shanxi’s Grace, especially the Chardonnay, are tasty. 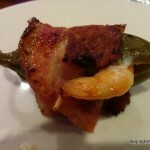 A shrimp in a jalapeno wrapped in bacon. Nice app at Tim’s Texas Bar-B-Q. 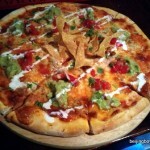 The burritos and habanero chicken are good but nacho pizza gets the nod at Q Mex. 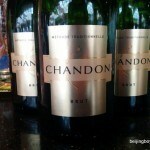 Chandon’s first made-in-Ningxia bubbly is worth a try. 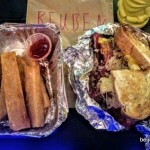 Late munchies inspired a Katchup order and the Reuben didn’t disappoint. 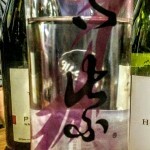 New Zealand baijiu? 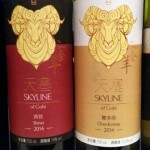 It’s potent, with lots of anise flavor, and available at Pop-Up Beijing. 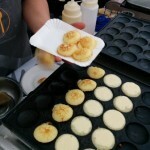 These poffertjes are sweet little treats: made by Sue Zhou. 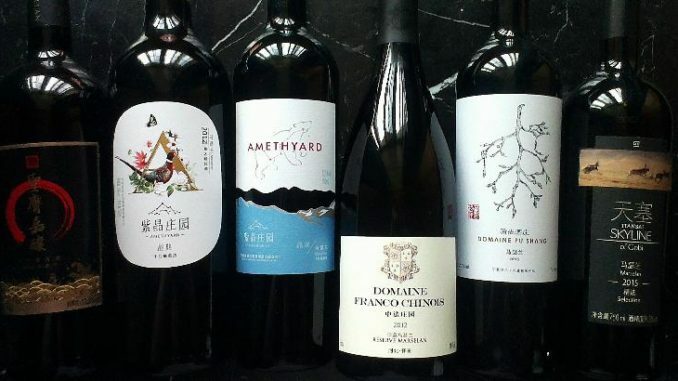 Xinjiang-based Skyline is part of a new wave of wineries focusing on quality, not quantity. 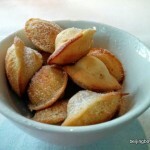 One of the best parts of a TRB Bites meal: the madeleines. 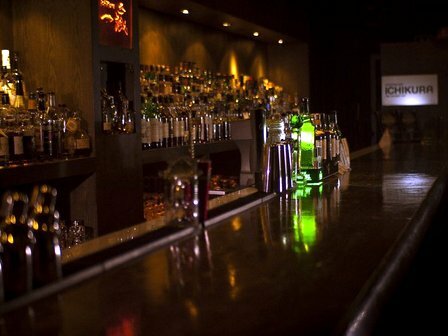 The two-for-one martini deal at Centro is still good value more than ten years on. Ocean Grounds sadly closed and one of the best cocktail experiences went with it. Early 2015 saw me popping into BBC, usually for a Negroni. 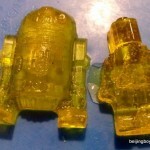 Lemon-y baijiu gummy bears made by Alex for World Baijiu Day. 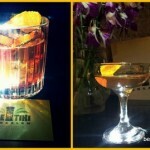 Nice drink garnishes! 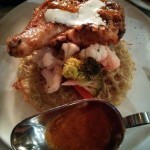 This peri-peri chicken at The Rug is packed with flavor. I’d buy jars of that sauce. 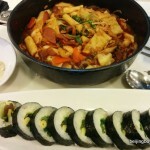 Korean stew and kimbap make for a hearty lunch at Ssam. 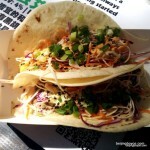 I scout every food fair for Palms L.A. and its chicken tacos. Great sauce. 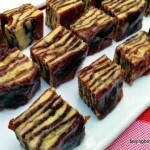 Layers of fois gras and cured meat melt in your mouth. 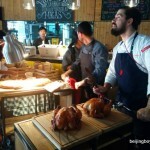 At a Brasserie Flo food fair. 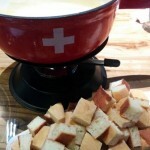 Cheese fondue is one of the must-have items at Swiss Taste. 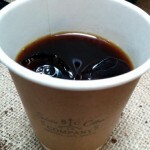 A flavorful caffeine fix from Soloist. 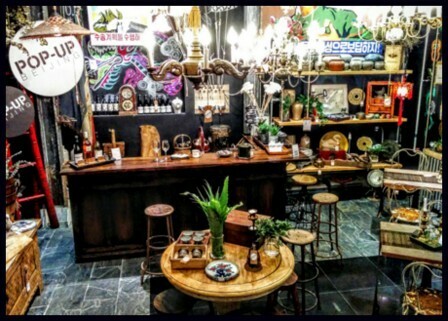 Twelve-year veteran Ichikura has good cocktails and hundreds of bottles to peruse. 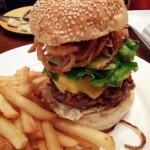 Comfort food, American portions, at Windy City Ballroom. 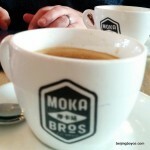 Moka Bros, and its role as a prime meeting spot, meant lots of coffee this year. 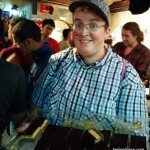 The best-ever Nanaimo bars by fellow Canuck Dustin. 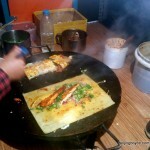 Shandong style bing. 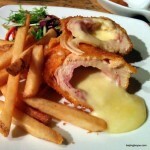 Slip some cheddar in there and it’s even better. 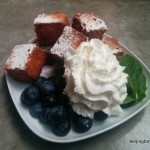 Deep-fried baijiu with powdered sugar, blueberries and whip cream. 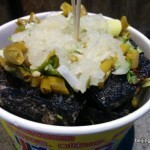 Eye-watering chodufu by the diligent guy working post-midnight near China View. 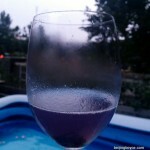 Better known for wine than cocktails, Randy still makes one an awesome Aviation. 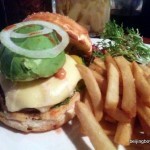 The avocado rub burger at The Local. 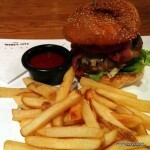 It’s this or the three-kuai Wednesday Buffalo wings. 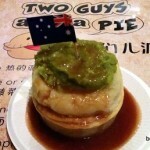 Two Guys and a Pie. 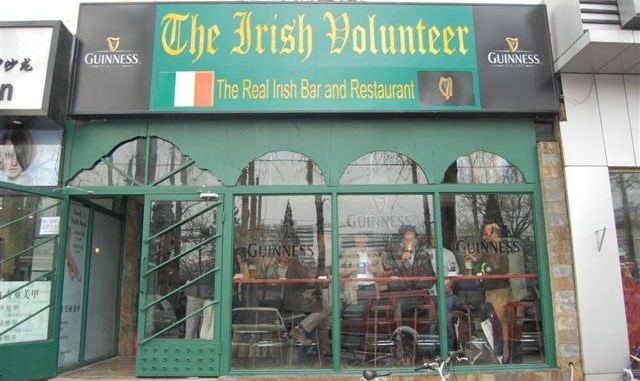 And some mashed potatoes. And peas. And gravy. 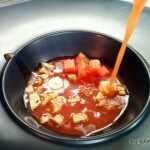 Gazpacho at TRB, where a three-course meal usually ends up with seven or eight dishes. 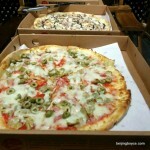 It’s old school, from the first menu, but I still love the Gung Ho smoked ham and mushroom pizza.